When you’re dealing with a limited marketing budget, you just can’t afford to spend money on the wrong things. This is especially true when it comes to Co-Op Advertising funds that Brands devote to Channel Marketing through Local Partners, retailers, agents and dealers. That’s why Co-Op is such a brilliant idea — in theory. When both the Brand and its Partners chip in to cover the costs of Local Marketing, everyone wins — right? Well, that’s not always the case. At best, traditional Co-Op tends to deliver mediocre, middle-of-the-pack results, with about half the Partner network opting out of participating in Co-Op. At SproutLoud, we’ve dedicated extensive time and research to figuring out why traditional Co-Op doesn’t work. And we’ve identified seven major failure points in Co-Op and developed solutions to restore Co-Op to what it should be: a win-win. Brands allocate a lot of money every year to prop up a dysfunctional Co-Op system. Co-Op claims processing vendors tend to charge about $16 per claim. If a Brand has 1,500 Partners in its network and processes about 10,000 claims a year, that’s $160,000 a year just for processing claims. SproutLoud, the leading SaaS Channel Marketing Platform, cuts Co-Op claims processing costs by up to 50 percent. This allows Brands to reallocate internal resources away from administrative tasks associated with Co-Op Claims and Reimbursement to more productive areas, such as developing more creative and strategic ways to improve the Brand’s Channel Marketing efforts. And the money saved on processing fees can be reinvested into more modern marketing technology. It’s a frequent refrain Brand marketers and sales reps hear from dealers, agents and local businesses within their Partner networks: “When will we get reimbursed?” The truth is, it’s hard for small local businesses to front 100 percent of ad costs for a multi-million-dollar corporation and wait weeks to get reimbursed. Most small business owners count on that money for inventory and payroll. SproutClaims mirrors a Brand’s existing Claims and Reimbursement process and uses cloud technology. The process is faster and more efficient because the entire process from start to finish occurs within the same SproutLoud Platform. Brands save money and Partners get reimbursed faster. SproutPay eliminates the Claims and Reimbursement process altogether by instantly applying Co-Op or MDF funds at checkout, so Partners no longer need to front 100 percent of ad costs and instead only pay their portion after Co-Op is applied. Think about how much Brands spend to develop the right strategy, messaging and creative for Partner Marketing. Yet, that investment typically only benefits half the Partner network, because the other half isn’t participating. Why? Because from the Partners’ vantagepoint, the drawbacks to Co-Op outweigh the potential benefits. Implementing SproutPay to eliminate the headaches Partners say they face with traditional Co-Op Claims and Reimbursement, including: pre-approvals, claims submission, out-of-pocket ad costs for Partners, and waiting for reimbursements. Increasing percentages on Co-Op offers for Partners struggling with tight marketing budgets. Making it fast and easy to create and execute campaigns with SproutLoud Studio and Automated Campaign Execution, for Partners who don’t have the option of dedicating a marketing team or a staff member to handle marketing. Sharing SproutLoud Analytics and ROI data with Partners to demonstrate the value of investing in Digital Tactics with a proven track record for success. Without visibility on ROI for tactics and campaigns, Brands and their Partners can too easily fall prey to blindly invest in the wrong things. Partners may opt to go with their gut on marketing decisions or simply repeat what’s always been done. SproutLoud Analytics delivers real-time data to help Brands and their Partners break the cycle of ill-informed decisions and use data to drive their decisions. SproutLoud offers performance metrics on every tactic and campaign, across the Brand’s entire Partner network. This allows Brands and Partners to compare tactics, evaluate messages and let ROI guide their local Brand marketing investments. When Partners find out they have to navigate too many incompatible systems to access Brand marketing assets, to check their point-based rewards system, to upload proof of performance and to submit Co-Op claims, they tend to get frustrated with the complexity of the process. This makes Partners less likely to opt-in to Co-Op programs and offers. The approval process for traditional Co-Op is so cumbersome, that Brands dedicate headcount to assist Partners and manage the process. 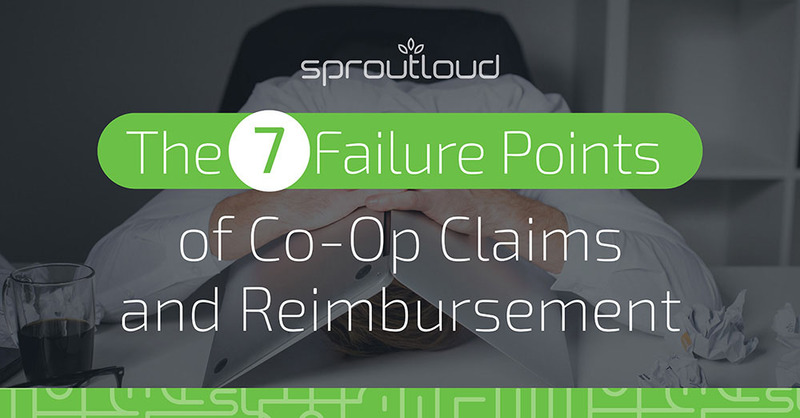 SproutLoud simplifies the entire Co-Op Claims Approval process for Brands and their Partners by automating the process with a single SaaS Platform that delivers an all-in-one solution. The Platform includes must-have tools like Digital Asset Management, Ad Builder technology, and dynamic templates – with SproutLoud Studio – making ad customization easy and Brand compliant every time. The Platform also gives Partners immediate access to 75+ best-in-class vendors for automated marketing fulfillment through our integrated Marketing Service provider network. Just imagine: No more missed deadlines, no more slow responses to changing market conditions, and no more delays in getting the message in market. 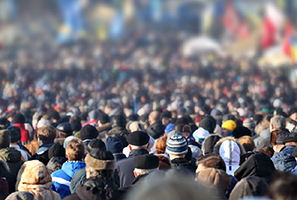 Brands could save OpEx on headcount and redistribute it toward strategic ways to increase traffic, leads and sales. No matter how much Brands spend on Co-Op Advertising through their local Partner network, only about half their Partners tend to opt in to participate in Brand marketing campaigns. Considering all the failure points in traditional Co-Op, this isn’t surprising. 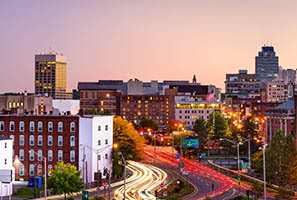 Local Partners are small business owners and entrepreneurs who tend to be fiercely independent and focused on cost savings. Shift Co-Op funds to high-performing campaigns. For example, based on Partner type or based on the type of tactics used, Co-Op funding offers can be instantly changed to higher percentages for assets and Partners across the entire network, with the click of a mouse. Use SproutClaims or SproutPay Instant Funding, either together or separately, to disperse Co-Op funds to their Partners. Get real-time access to SproutLoud Analytics, which delivers insight on what’s working and what’s not, based on business intelligence inherent to the SproutLoud Platform. The insight SproutLoud acquired over years of unraveling the failure points of Co-Op inspired us to reverse engineer the process and develop solutions to make Co-Op a win-win. Learn more about SproutLoud’s solutions for Brands and their Partners. 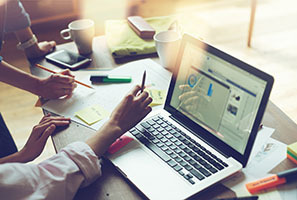 Partner Marketing Transformation: 4 Steps to Reduce OpEx and Improve Results Learn how to transform Local Marketing through your Brand's Indirect Partners, while reducing your Operational Expenses and improving measurable results. Michael Torcasso is Vice President of Sales at SproutLoud. He is an experienced executive with 25 years in the software, Channel Marketing, and advertising industry. Michael is responsible for driving SproutLoud revenue growth among Fortune and mid-market branded productmarketers in B2B2C environment. He is passionate about synthesizing business needs with innovative Channel Marketing strategies and solutions for clients. Experienced in the service of, and consulting to, dozens of well-known international brands in Automotive & Aftermarket, Building Products, Financial Services, Hardgoods, Insurance, Personal Care, Recreational Products, Technology and Telecom verticals. Michael is a graduate of the University of Southern California. 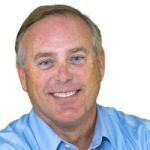 Over the last 20-years he has focused on enterprise sales, client engagement, and Channel Marketing and incentives management with leading Incentives, Marketing Automation, and Co-Op/MDF program administration firms in the US and Canada.